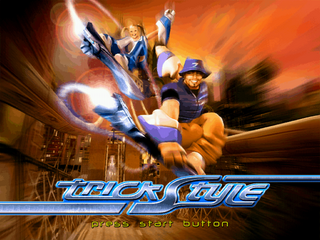 Trickstyle is a hoverboard racing game developed by Criterion Studios and published by Acclaim. It was a launch title for the Sega Dreamcast in North American and PAL regions. It has the player race across various stages on hoverboards, performing tricks as they do so in order to get extra points. The game was known as Velocity prior to its release.